For some small Colorado communities, recreational marijuana is generating much-needed revenue. 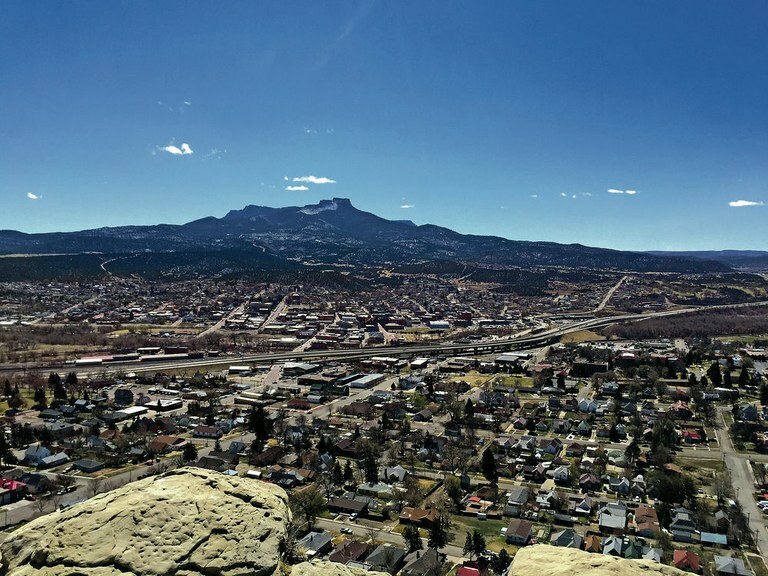 In Trinidad, Colorado, revenue from eight recreational cannabis shops is paving streets and helping refurbish downtown apartments. Across the state in De Beque, nearly a quarter of the town’s general fund comes from marijuana sales tax. In Log Lane Village, the town repaved two city blocks thanks to sales tax from two new pot shops — revenue that nearly doubled the city’s budget. For rural Colorado communities like these — especially towns that were already struggling with the collapse of an economic engine, like coal or oil — the state’s three-year-old recreational marijuana industry has been a major boon. In many towns, marijuana sales have bolstered municipal tax bases, funding a variety of improvements. Store-owners, city councilmembers and mayors are cautiously optimistic that the influx of cash will continue, but say there’s no way to know how sustainable the growth will be. If surrounding states legalize marijuana, Colorado could lose its valuable status as an island of legalization in a sea of prohibition. Meanwhile, New Mexico medical cannabis suppliers look on, closely studying the Colorado experience in case recreational legalization makes it to the ballot. For a prime example of cannabis’ benefits, look no further than Trinidad. Two years ago, a plunge in oil prices drove two major oil and natural gas companies away from this small town off Interstate 25. Trinidad, whose economy was historically fueled by the coal industry, has lost 10 percent of its population over the past five years. 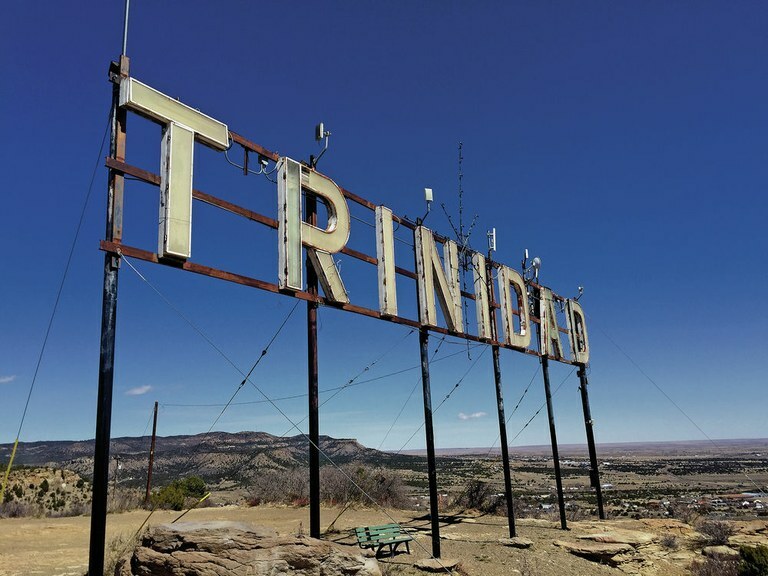 Trinidad, a sleepy little city founded in 1861, developed its roots as a trading center on the Santa Fe Trail, a place where weary travelers could stop and rest before making the trek over Raton Pass. Now, with eight recreational cannabis shops, the town offers a different kind of lure. Around the same time oil and gas companies were fleeing, the town embraced a new industry, voting to allow recreational cannabis retailers to do business in their community. Eight pot shops quickly arrived, some launched by energetic locals, others by outsiders who moved to Trinidad to cash in. Sales tax receipts overall jumped 21 percent last year, and the city didn’t lose population for the first year in five years. The $1.5 million in marijuana sales tax the city has garnered has been used to replace old infrastructure, pay down part of Trinidad’s debt and even help redesign a city block as apartments for a growing art community. Marijuana is on display at the CannaCo recreational marijuana dispensary in Trinidad. CannaCo is one of eight marijuana stores in the city just north of the New Mexico border. Taylor doesn’t expect that marijuana – or any one industry, for that matter – will become the new backbone of the community’s economy. To him, it’s just another revenue source. “That’s a good thing,” he said. But rural communities, especially those near a major highway, like Trinidad, or en route to a tourist destination, have reaped substantial benefits. De Beque, an oil and gas town off Interstate 70 near the Utah border, is home to two recreational pot shops, an indoor growing facility and barely 500 people. The cannabis industry has created about 35 new jobs there, said Lance Stewart, the town administrator. Last year, revenue from marijuana sales tax alone was about $340,000, nearly 20 percent of De Beque’s $2 million budget. Currently, the revenue from marijuana nearly equals what the town used to receive from oil and gas taxes, Stewart said. About half De Beque’s new revenue went into a street project, and the other half to law enforcement. But De Beque is as much cautionary tale as success story. Legalization is far from universally popular, and political opposition can stymie economic growth. Earlier this year, the town attorney tried to lift the cap on the number of growing licenses, but failed when a new crop of city councilmembers opposed to legalization joined the board. As a result, the town lost a deal with a developer hoping to locate up to 27 greenhouses in De Beque, Stewart said. What does Colorado’s experiment mean for other states? First, legalization’s benefits may not trickle down to every community. Colorado’s legislation gave cities the chance to prohibit sales, and to date, roughly 189 of Colorado’s 272 municipalities have done so, according to the Colorado Municipalities League, a membership organization which opposed legalization three years ago, and which tracks the outcomes of local elections. To date, the state has issued 454 retail licenses to recreational pot shops in 71 municipalities — 172 in Denver alone. Deciding whether to welcome marijuana is not an easy calculus for rural communities, said Andrew Freedman, who runs the Governor’s Office of Marijuana Coordination. “I tell them, don’t underestimate the amount of community outreach and process you should go through,” Freedman said. With Interstate 25 running through the middle of Trinidad, the southern gateway to the Colorado Rockies, eight recreational marijuana shops have generated $1.5 million in additional sales tax revenue for the town. A town can’t just look at revenues from marijuana; it must also consider the possibility of additional expenditures, said Kevin Bommer, the Colorado Municipal League’s director. Each town must also ask itself whether the windfall is worth the potential for increased burdens on social services. “No matter where the municipality, there is going to be an element of extra attention required to deal with the administration and enforcement,” Bommer said. 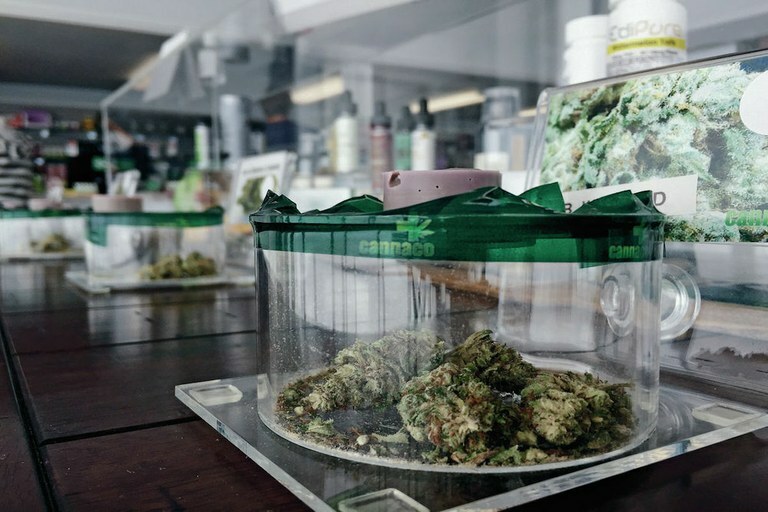 The state isn’t equipped to regulate the growing black market, he said, saddling tiny local law enforcement agencies with making sure that legal home grow operations don’t smuggle their product out of state. Residents in the San Luis Valley have complained of their schools and social services being overwhelmed by families who move to the area searching for cheap land on which to grow marijuana. Plus, conditions are changing fast, and no one really knows how legalization in other states will affect Colorado markets. Voters in California and Nevada legalized recreational marijuana this month, which could affect Colorado’s lure as a destination for other kinds of highs besides lofty peaks. Hoover, of the Colorado Fiscal Institute, thinks legalization in California is a “game changer.” “What it will mean is that a lot of people will bypass Colorado and go straight to a state with multiple cities and more job opportunities,” he said. “We just don’t know enough about the market going into the future,” Freedman said. He noted that as the industry matures it is becoming more efficient, and marijuana is becoming less expensive to grow. There’s also a chance the industry, much like the alcohol and tobacco lobby, will pool its resources to subvert future attempts at taxation, depriving communities of revenue. New Mexico isn’t among the states that voted on legalization this fall, as three bills that would have permitted recreational marijuana use failed to make it onto the ballot. Still, medical marijuana is legal in the state, and many residents are watching Colorado from afar. Among them are the employees at NewMexicann Natural Medicine, a tiny medical cannabis shop in Las Vegas, New Mexico, population 13,000. Opening their operations to include recreational cannabis could easily double the company’s 35-employee payroll across the state, said Carlos Gonzales, the company’s CEO. The shop currently loses customers to Trinidad, which sells both medical and recreational cannabis.